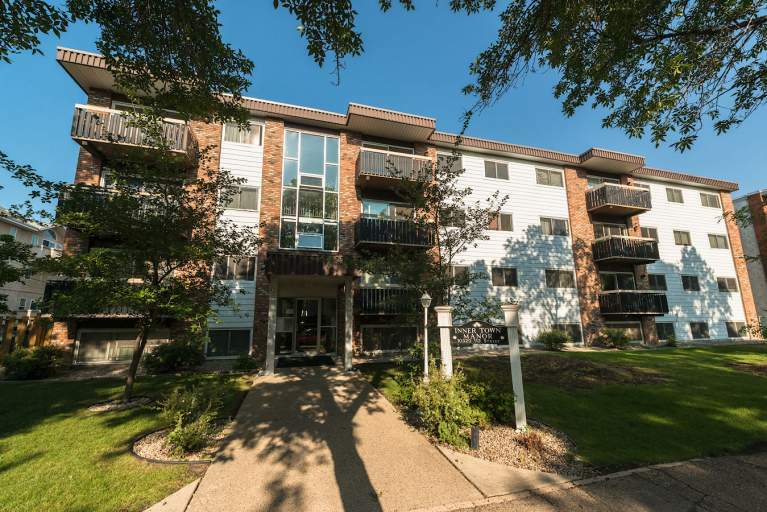 Located just half a block from the major amenities of Oliver Square, you'll enjoy walking distance to your favorite coffee shops, restaurants and grocery stores! Plus Macewan University is just two blocks away! And with the major bus routes down 104th Avenue, accessing the downtown core is a breeze! This Oliver location truly is a great place to call home! The condo itself features gorgeous laminate and tile flooring, with carpeted bedrooms for added comfort and large windows that fill the entire unit with natural light. The massive living room is perfect for any furniture arrangement, and its stylish flooring is sure to impress. The modern kitchen boasts stainless steel appliances including a fridge, stove, microwave and even a dishwasher! With plenty of cupboard space and additional space for a kitchen table, this kitchen has everything you need! Down the hallways you'll find the master bedroom with a walk-in closet, a spare bedroom and an updated bathroom with tub shower. And with plenty of storage space throughout, this unit truly has it all! PLUS ALL UTILITIES ARE INCLUDED IN THE RENT, INCLUDING LAUNDRY! !